Love history? Know your stuff with History in an Hour. Nicknamed ‘The Anarchy' for its unprecedented levels of chaos and disorder, the succession crisis that followed the death of King Henry I in 1135 resulted in England's first civil war. The Medieval Anarchy: History in an Hour neatly covers all the major facts and events giving you a clear and straightforward overview of the plots and violence that ensued during the the nineteen-year conflict. 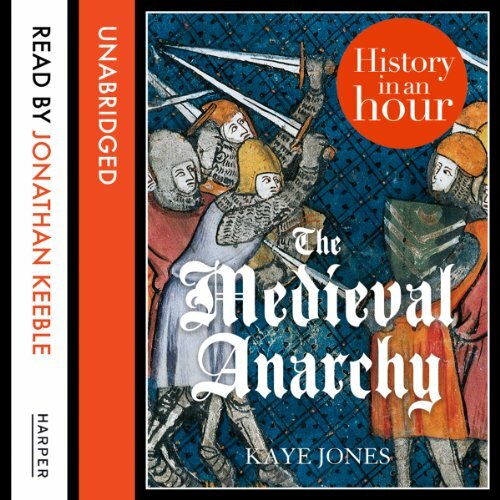 The Medieval Anarchy: History in an Hour is engagingly written and accessible for all history lovers.